Posted by letsdrinkon in At Your Service REWARDS, Baltimore, Dining - Restaurants, EAT. PLAY. LIVE., Food & Wine, Foodies, Lawfully IMBIBE, Leisure, Let's Drink On, Lifestyle, Maryland, National Football League, NFL, Party On, Preferred Partners, Signature Cocktails, Work. Life. Balance. Add ingredients in order listed above to a shaker. To draw out the taste, flame an orange peel, then garnish. Kali’s Court is located in Fell’s Point of Baltimore, MD. Kali’s Court is well known for its fresh seafood and it is consistently rated as one of the best seafood restaurants in Baltimore. If you are looking for a romantic, setting this place has it, with its seating in the courtyard or indoors with the dark wood and candlelit tables. What dinner would not be complete without an assortment of wine and after dinner liqueurs to choose? Kali’s has plenty. The Chocolate Orange Cocktail is best described as having a bittersweet chocolate flavor with undertones of fresh citrus to satisfy your taste buds. In the video we have Cassie who has worked for Kali’s Court for almost a year and been in the industry for quite a while. She knows her way around the bar well and is quite knowledgeable about how different types of alcohol blend together. You always find yourself pleased with one of her cocktails. Posted by letsdrinkon in At Your Service REWARDS, Baltimore, Baseball, Dining - Restaurants, EAT. PLAY. LIVE., Lawfully IMBIBE, Leisure, Lifestyle, Maryland, Party On, Preferred Partners, Signature Cocktails, Work. Life. Balance. Pour the first three ingredients into a shaker with ice. Then strain it into the chilled martini glass. Then add the Licor 43 and heavy cream to a shaker and shake. Kali’s Court is located in Fell’s Point in Baltimore, MD. Kali’s Court is well known for its fresh seafood and is consistently rated as one of the best seafood restaurants in Baltimore. If you are looking for a romantic setting this place has it, with its seating in the floral courtyard, or indoors with the dark wood and candlelit tables. What dinner would not be complete without an assortment of wine and after dinner liqueurs to choose? Kali’s has plenty from which to choose. To continue our theme of after dinner cocktails, Kali’s Court has brought us this cocktail. 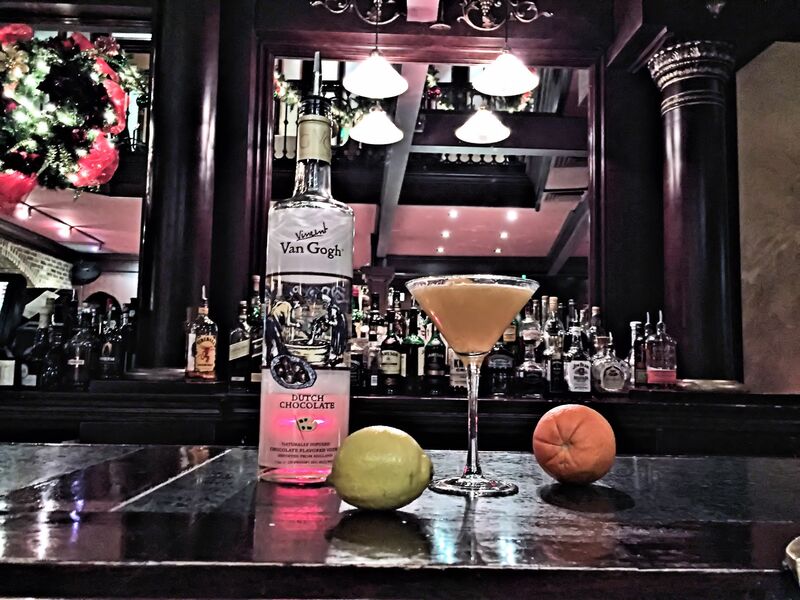 This dessert martini is a wonderful finish to the impeccable seafood that Kali’s Court has to offer. It’s a delicious balance of citrus, vanilla, and sweet cream flavors. It is the perfect end to a perfect meal, creating an overall flawless experience. This signature cocktail is created by Maryam Samadi, the manager of Kali’s Court. Danny is the bartender in this video. Danny has been bartending in the Baltimore area for many years and we’re pretty sure he can make any cocktail you desire. We hope to see him again soon. Posted by letsdrinkon in At Your Service REWARDS, Baltimore, Baltimore Ravens, Bars, Dining - Restaurants, EAT. PLAY. LIVE., Food & Wine, Holiday, Lawfully IMBIBE, Leisure, Let's Drink On, Lifestyle, Maryland, Party On, Preferred Partners, Signature Cocktails, Supper Clubs, Work. Life. Balance. •1.5 oz. of Smirnoff Cinna – Sugar Vodka. •1.5 oz. Bailey’s Vanilla Cinnamon. •1 tablespoon of Pumpkin Puree. •Add all of the ingredients to shaker glass in order listed above. •Add ice to a shaker and shake. •Run Lime slice around rim of Martini Glass and coat the rim Graham cracker crust. •Strain cocktail in Martini Glass and garnish with Cinnamon Stick. This cocktail was created by Melaney Wolf from Kali’s Court of Fells Point in Baltimore, MD. This is Melaney’s first drink with us. But she will be on here again soon, so keep your eye out for her name. 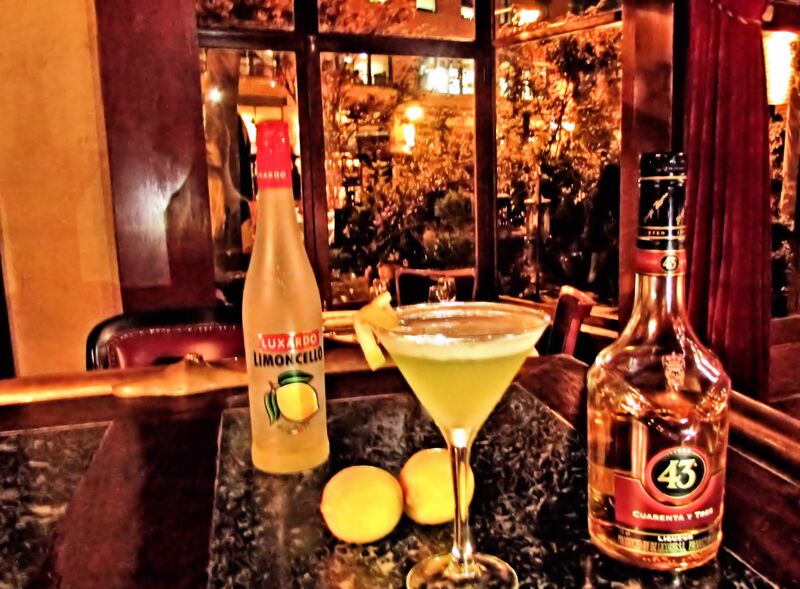 Follow us @ConciergeDesk and our Preferred Partner @LetsDrinkOn for many other Signature Cocktails!